The new collection of Cerruti 1881 novelties introduced this season marks a period of reflection. The brand, which has just completed 50 years of being a game changer in fashion has been growing strong with every collection. The success of Cerruti 1881 is the result of a conscious, inventive decision to push imaginative boundaries to give the brand a new identity that echoes the creative aspirations of its loyal admirers. 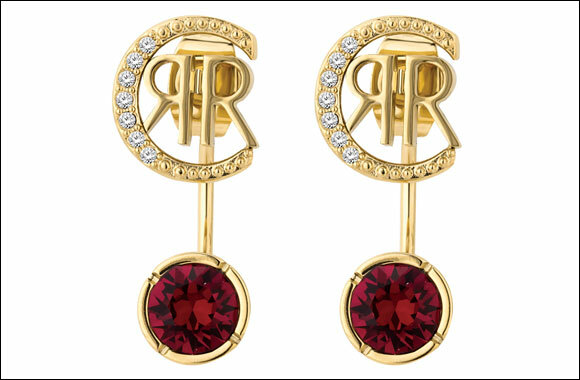 From a strong Parisian influence, the brands has broadened its palette of inspiration to wider spectrum, encompassing Middle Eastern elements in its fine jewellery. 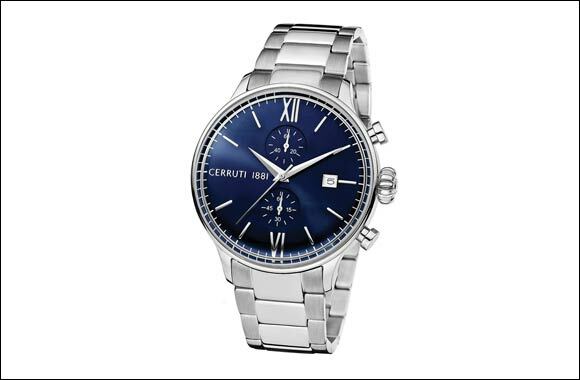 Every inch the trendsetter, Cerruti 1881 has put forth a display of impressive timepieces, jewellery, accessories and writing instruments. In an aesthetic fusion of colours and design, the new edition evokes a strong scent of glamour, opulence and beauty. The use of Swarovski crystals, zircons and ceramics adds to the appeal of the jewellery. The timepieces preserve the essence of the brand while experimenting with sophisticated additions that contribute to the appeal, and enhances functionality. 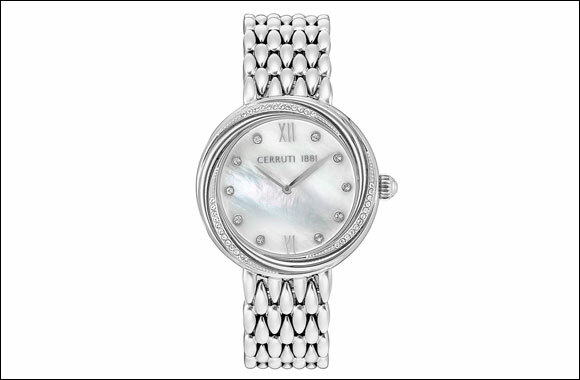 The exquisite craftsmanship and attention to detail, which Cerruti 1881 is famous for, give this watch its certain distinction. The simple, elegant palette can be worn with everything, yet the timepiece has a natural flair that keeps it far from the mundane. Only for the self-assured, the bold Ruscello adds the perfect flair to a suit and lends sophistication to a more casual look. 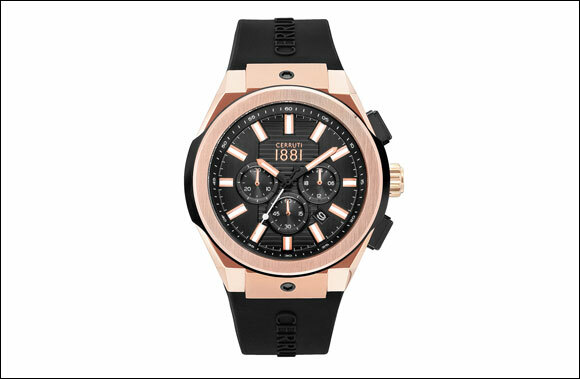 Glossy rose gold detailing is vividly contrasted against a black matte background; the rubber strap is smooth except for a raised CERRUTI 1881 logo. Bold indices and prominent hands, with luminous racing stripes, lead you confidently through the night. 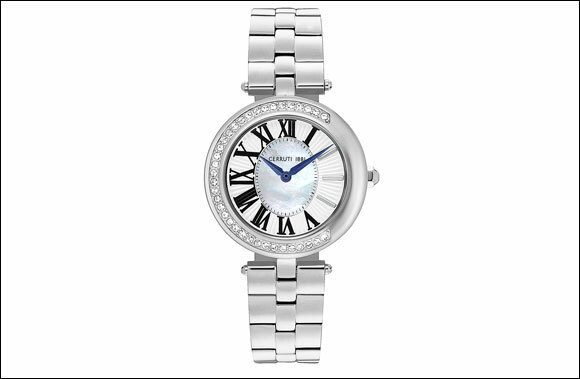 From morning to evening and all times between, this watch makes an impression that is sure to complete your look. 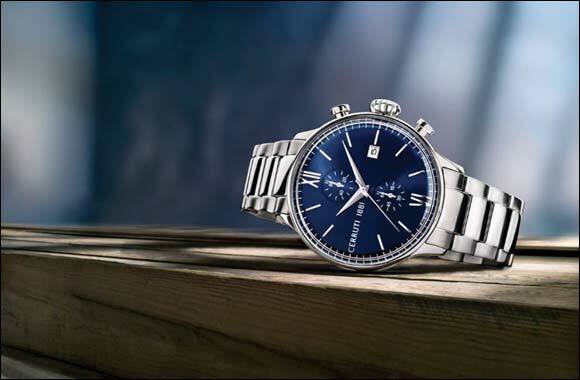 Its silver dial provides a backdrop to the Roman numeral indices and tapered hands, which are paired with a round silhouette to give a traditional appeal. Time ticks luxuriously on this fine statement of chic from Cerruti 1881, a brand that has redefined understated elegance. The beauty of the timepiece comes alive in the two-tone bezel that has minute Swarovski sparkles enhancing the mother-of-pearl dial. The glistening indices and the rose gold and stainless steel bracelet complement the daintiness of the bezel, while exuding charisma and charm. This summer, Cerruti 1881 draws inspiration from the season's rich colour and emotion palette. Scripted with fresh sheen, the new collection of dazzlers is every bit the sweet-smelling spell of beauty and grace. Elite, clean and dapper – Cerruti 1881 scripts a new tale of fine writing. The subtle details render a masculine finish to the handsome writing instrument. Paired with matching cufflinks, the combination adds glory to the persona of the Cerruti 1881 gentleman.